With flood waters receding from most of the places, the Kerala government has taken up the massive task of cleaning houses and public places filled with slush left behind by the massive deluge that claimed 231 lives, besides causing large-scale destruction. The government has set up a control room here to coordinate the cleaning process across the state and the civic bodies have been entrusted with the task of managing the work, official sources said today. Haritha Kerala Mission, a mission integrating waste management, organic farming and water resources management, would also coordinate the cleaning process. It will deploy 50 high-power pump sets in different areas by tomorrow. Chief Minister Pinarayi Vijayan, who had held a series of review meetings and monitored the rescue operations during the period of crisis, will visiting different relief camps across the state today. He had also said that if there were any hurdles, the state would approach Prime Minister Narendra Modi to clear them. 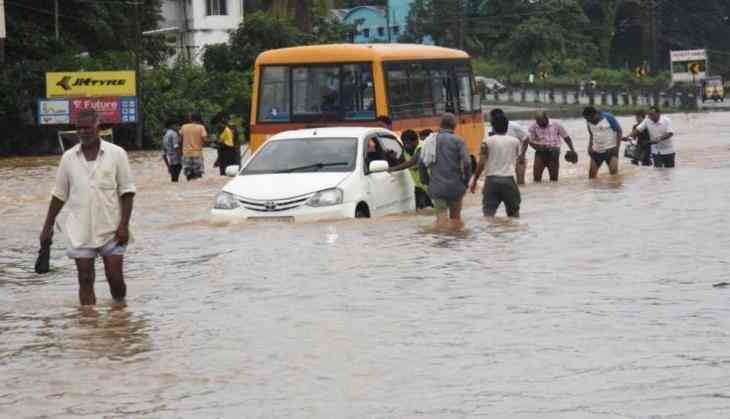 The state's estimated loss in the deluge is Rs 20,000 crore (as per a preliminary estimate). It had sought an interim assistance of Rs 2,600 crore from the Centre, besides a special package of a similar amount under the Mahatma Gandhi Rural Employment Guarantee Scheme (MGNREGA).